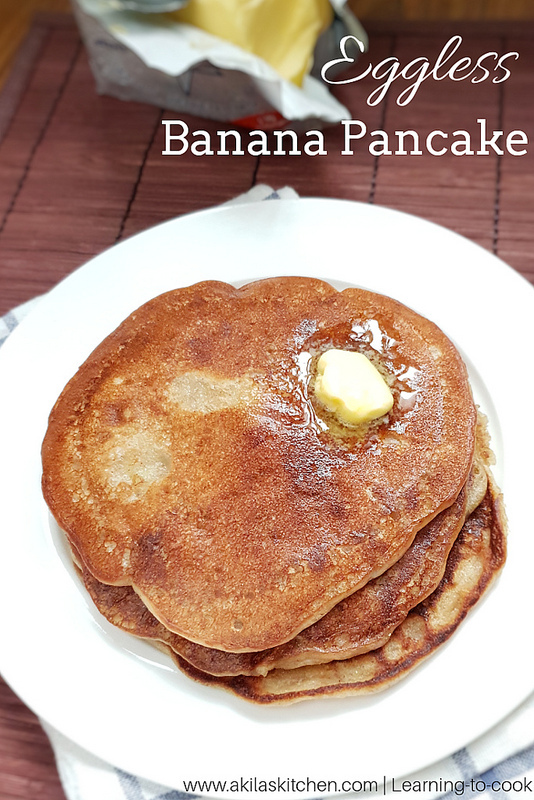 Eggless Banana Pancake Using Wheat Flour Recipe with a video and step by step instructions for your easy understanding and learning. 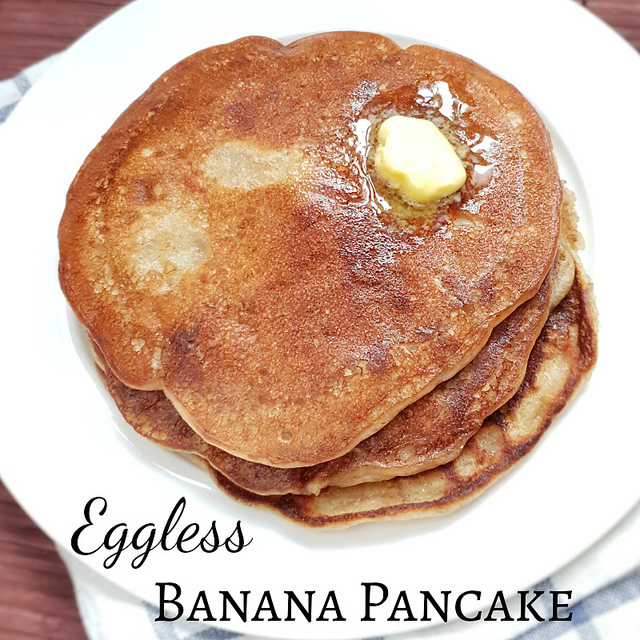 This Eggless Banana Pancake Using Wheat Flour Recipe is very easy to make and healthy too. 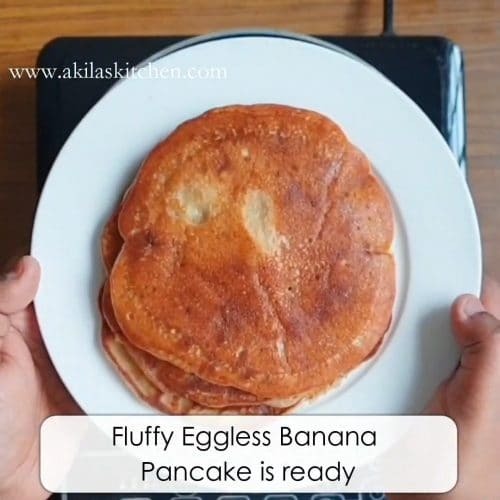 We do not add any eggs but still this eggless banana pancake using wheat flour turns out to a soft and fluffy pancake. 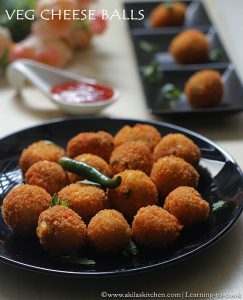 It can be easily made in morning hurry burry and also can be packed for kids lunch box or given as a tea time snack also. 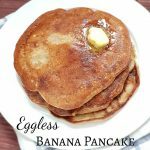 If you want to make a healthier version of this eggless banana pancake using wheat flour, you can replace the white sugar with palm sugar or jaggery or even can make without these, if you have a sweet banana. In either way, these pancakes remains soft, tasty and fluffy. You can also make these pancakes without baking soda or baking powder, but it wont come as fluffy as this. You can call those as banana dosa only. So I prefer adding the baking powder and baking soda. Take any 3 ripe bananas of any variety and smash them nicely. If you want you can use any small hand blender to Blend bananas nicely. 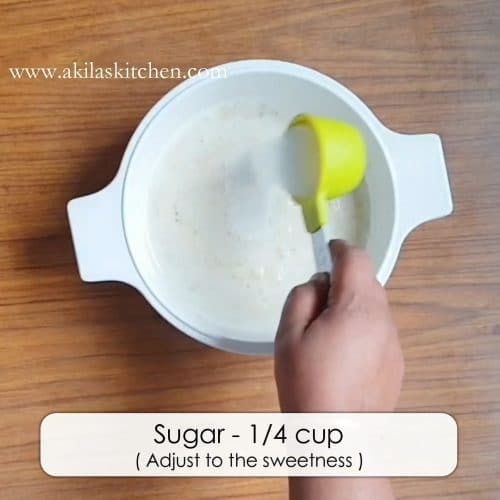 Now add sugar and oil and again mix them gently. Sugar can be adjusted according to sweetness of the bananas. 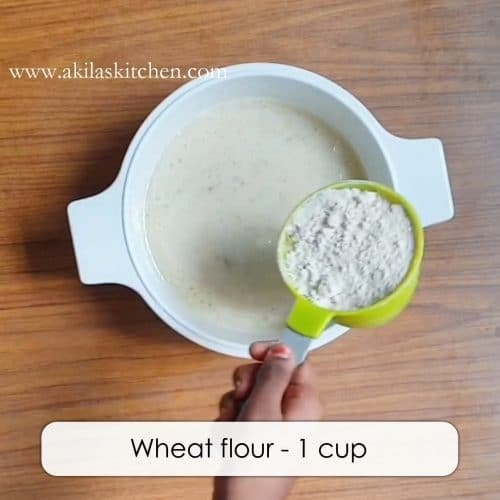 Now keep adding the flour, baking powder, baking soda mix it gently so that no lumps are formed. Do not over mix it. Adjust the milk if needed. 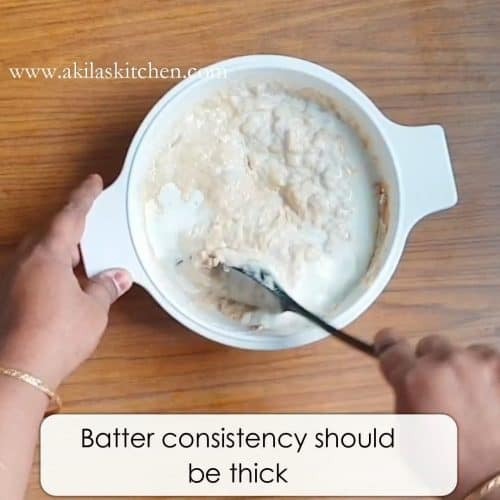 Batter consistency should be thick like idly batter. Now add the optional ingredients cardamom powder and cinnamon powder. 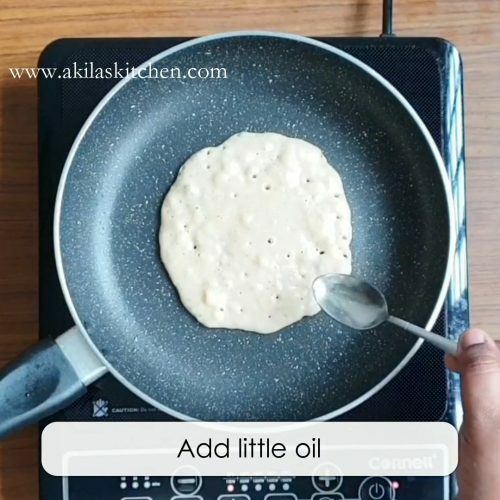 Though they are optional to add, they give very nice flavour to the pancake. Now heat a pan ( medium flame ) and pour one laddle full of batter. Do not spread like dosa batter. Cook for a min and check for bubbles. 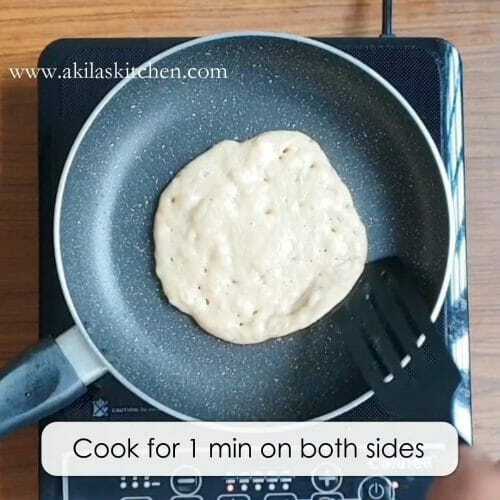 Flip to other side and again cook for a min. 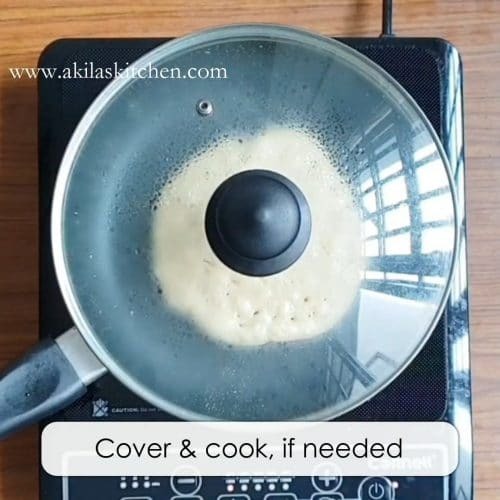 If you feel banana batter not cooked properly, you can cover and cook it, as shown. 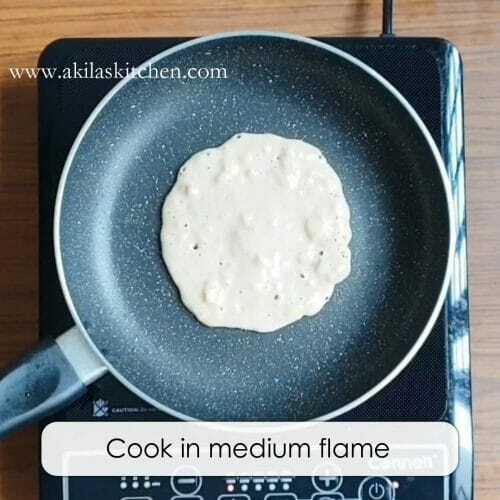 Serve the hot hot fluffy eggless banana pancake using wheat flour with a dash of honey and butter. 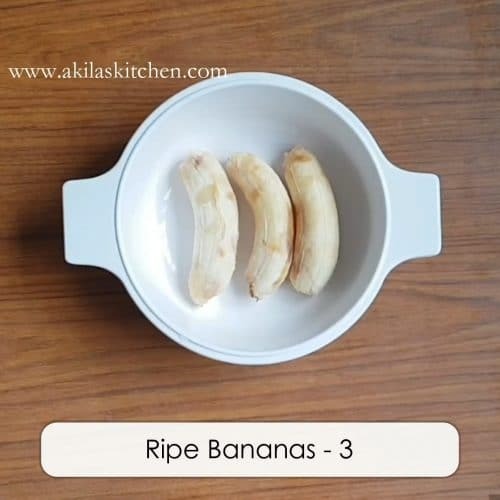 Take any 3 ripe bananas of any variety. smash them nicely. If you want you can use any small hand blender to Blend bananas nicely. 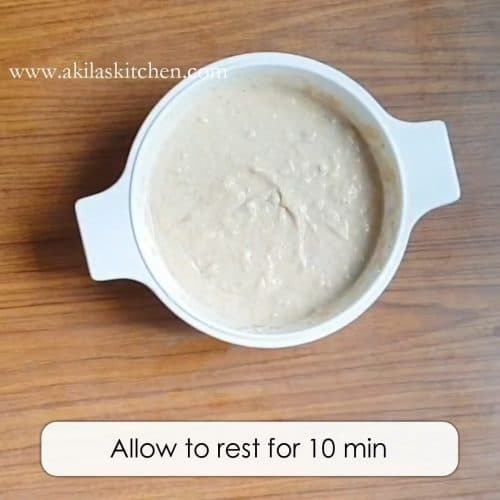 Allow the batter to rest for 10 min atleast. Do not spread like dosa batter. Just pouring is enough. Also add little oil if you want. Cardamom powder and cinnamon powder are optional only, but gives a nice flavor, when added. 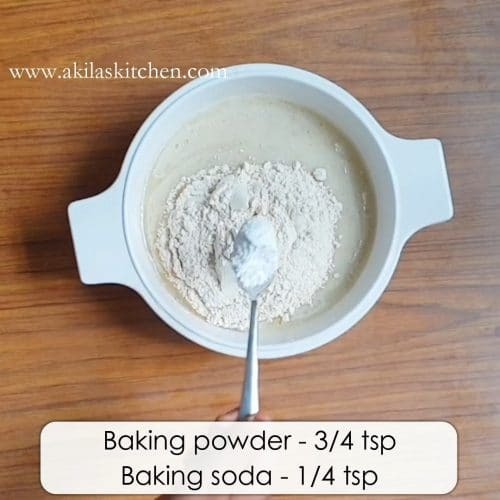 You can also add a 1/4 teaspoon vanilla essence. 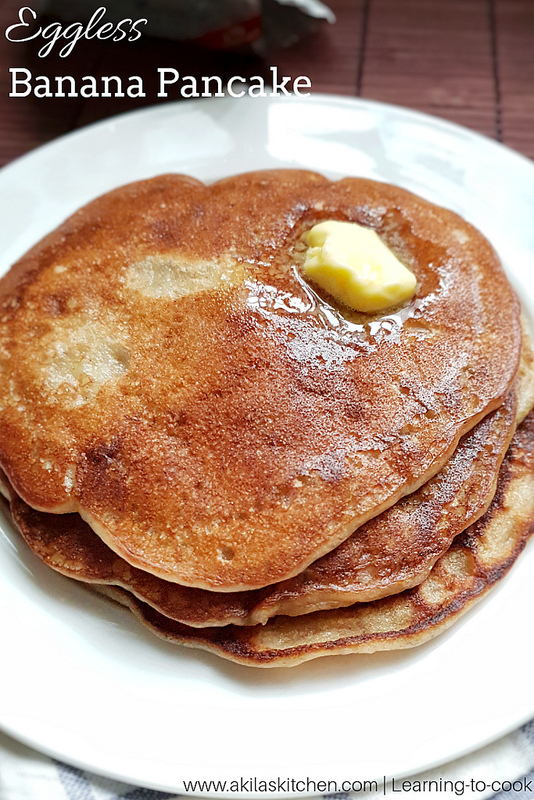 For a healthier version of this banana pancake, replace white sugar with jaggery or palm sugar or even naatu sakkarai. Since we add baking powder and baking soda, i advice not to give to small kids.